BAE Systems has partnered with Splunk to incorporate a security technology into a cloud computing platform designed to help federal civilian, defense and intelligence agencies monitor networks. The federated secure cloud BAE developed with Dell EMC will employ the Splunk Enterprise platform equipped with security features and machine learning algorithms, BAE said Wednesday. 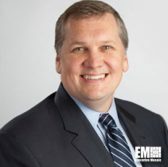 Peder Jungck, vice president and general manager of BAE’s intelligence solutions business, said the company seeks to leverage existing technologies in a push to help network administrators manage potential cloud risks. 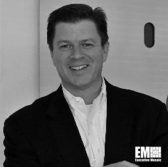 Gary DePreta, area vice president of defense, intelligence and aerospace at Splunk, said integrating platforms from both companies will allow analysts to detect threats with machine learning and determine security approaches. BAE and Dell EMC designed their joint offering for administrators to monitor users, data, tools and infrastructure through on-premise cloud platforms such as Amazon Web Services and Microsoft Azure technologies.